God called us to be in His Church, which is His Body. We are put into His Body when Christ implants within us His Spirit. "For by one Spirit we were all baptized into one body--whether Jews or Greek, whether slaves or free--and have all been made to drink into one Spirit" (1 Corinthians 12:13). In the same way a baby grows within the body of its mother, so, too, we grow and develop into a mature Son of God in the Body of the Church. We know it is dangerous for an expectant mother to smoke, drink, take illegal drugs and eat a poor diet while nourishing a baby within her. A healthy mother produces a healthy baby. The Church's environment must be healthy also to allow Jesus Christ to nourish and cherish God's children within His Body. It is an interesting analogy, don't you think? 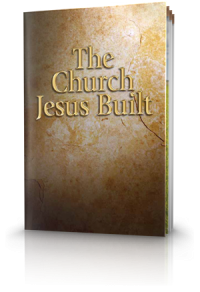 Jesus knew that He had to "build His Church" so those whom God called would have a safe and healthy place to grow. They would be nurtured through the healthy environment of Christ's Body, the Church. What might that Church look like? Acts 2:41-47 describes a community that shared their faith in the most extraordinary way. Later in the book of Acts, it tells us they prayed together, sang together, and were overjoyed in their new faith. They stood together against those who would try to destroy them. They were of one mind, striving for the faith Christ delivered to them. They loved one another with a radical kind of love, esteeming others better than themselves. Their leaders were bold to preach the gospel against the threats of the authorities. They sacrificed like their Leader did and thought little of their loss. It was an amazing Church. "Let love be without hypocrisy. Abhor what is evil. Cling to what is good. Be kindly affectionate to one another with brotherly love, in honor giving preference to one another; not lagging in diligence, fervent in spirit, serving the Lord; rejoicing in hope, patient in tribulation, continuing steadfastly in prayer; distributing to the needs of the saints, given to hospitality. Bless those who persecute you; bless and do not curse. Rejoice with those who rejoice, and weep with those who weep. Be of the same mind toward one another. Do not set your mind on high things, but associate with the humble. Do not be wise in your own opinion. Repay no one evil for evil. Have regard for good things in the sight of all men...live peaceably with all men. Beloved, do not avenge yourselves, but rather give place to wrath... "
What a wonderful and safe place to reside! Jesus had a vision of His Church, one which would truly nurture the mind of Christ in all His members. Let us consider what we have called to be a part of. And remember, it's His Body. What are the roots, the history, of the Church? 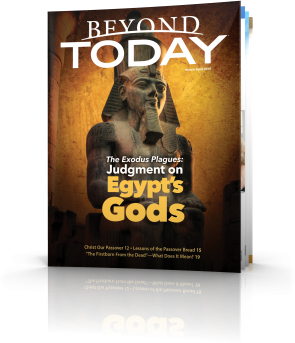 What sets apart people whom God calls His own? 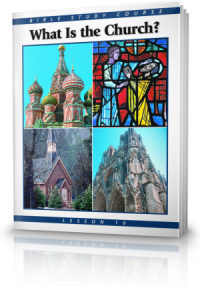 How does God use the Church to achieve His purposes? What does the Church do for you, and what should its members do for the Church? How can you be part of what God is doing through His Church? In this lesson you will learn what the Bible teaches about God's Church and what it means for you. 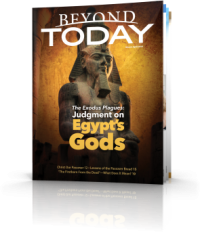 The mission of the United Church of God is to proclaim to the world the little understood gospel taught by Jesus Christ—the good news of the coming Kingdom of God—and to prepare a people for that Kingdom. This message not only offers great hope for all of humanity but encompasses the purpose of human existence--why we are here and where our world is headed. 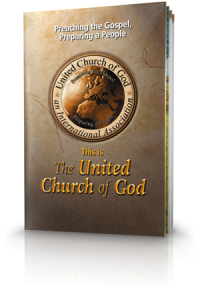 In this booklet we outline the mission and key activities of the United Church of God, an International Association, and the beliefs that drive them.